So. Being nine months preggo in a house with no AC except remarkably ineffective window units is turning me into the equivalent of a beached whale, but I'm still alive. :) I've been doing a lot of reading lately since my brain is a bit mushy, and wanted to share the cool books that I've read or am excited to read this summer! First: Code Name Verity. Oh. My. Gosh. Two girls, a spy and a pilot, one captured and tortured into revealing information to the Nazi's...it's one of the most compelling, haunting, beautiful reads I've had in a long time. Every time someone asks me for a book rec lately, I tell them about this one. It's actually been out for a while, and I HIGHLY recommend it. Next: Not Your Average Fairy Tale. My friend Chantele Sedgwick's fun book comes out August first, and I'm excited for this one! It sounds like such a fun read. 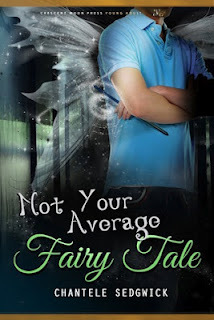 A guy as a fairy god mother-- doesn't that just make you giddy for the shenanigans that will follow? And: Crewel. Okay, this one isn't a summer read-- it doesn't come out until October. But I'm SO excited for it. It sounds unique and fascinating, and I've heard great things about it. 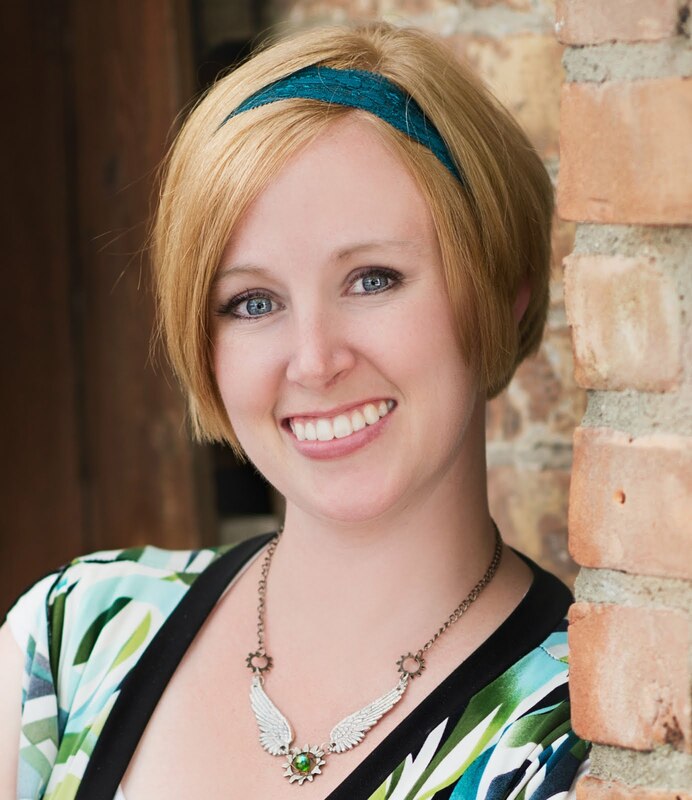 And in other coolness this summer, I got to hang out with the awesome Michelle Merrill when she came into town last week! We went to high school together and are crit buddies. It's always fun to hang out with writerly friends! So, my friends, what books are you looking forward to, or have read recently? Any fun summery plans? Good luck with your labor and birth. Awww, look at you! SO SO CUTE!! Beached whale is the perfect description--I've used this many times myself. Especially when I'm sprawled on the couch and can't get up on my own. LOL! So when are you due? I'm due the 30th, but will probably have this baby by mid-July (they always come early for me). Good luck with the pregnancy and delivery! Btw, I've been reading a lot of books too, because my brain is mush and I can't think well enough to write. I have Code Name: Verity, which I'm going to read this week. Yay! Congratulations on nearing the end of your pregnancy. I know how it feels to be very pregant in the summer and it is not fun. Not fun at all. Thanks for the book recommendations! 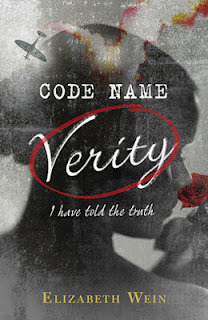 I had heard of Code Name Verity and I will need to check that out. 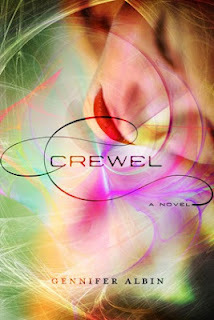 I can't wait to read Chantelle's book! Yay! P.S. If you didn't see my e-mail, you won the $10 gift card. Wahoo! Aww, look at you two! I've been reading a lot too and they've actually been great ones. You know how you go through stretches when you read a couple of duds. Not so. Good luck with your preggo self! Alright, I definitely need to check out Code Name Verity--it sounds fabulous! Thanks for the recommendation! I love the pic of you and Michelle! It's so cool that you guys went to HS together and are crit buddies to boot. I'm reading 13 REASONS WHY right now and can barely put it down. Thanks for the other book recommends! Good luck on your upcoming birth! Right now I have out of the library Sarah Miller's The Lost Crown, which is told in alternating diary entries from the last four Grand Duchesses of Russia. I'm a huge Russophile and love 20th century Russian history in particular, and I'm always on the lookout for serious YA historical fiction. I've been rather disappointed with some of the YA historicals I've encountered recently, books without a lot of historical depth or quality. The only thing I could live without is that it just HAD to be in first-person present tense. I understand first-person, since it's in diary form, but I'd be extremely happy if I never encountered another FPPT book ever again. Good luck with your delivery, Shallee. You definitely do not look like a beached whale. I have read quite a few books myself this past month. Thanks for the shout-out! You are so sweet! And good luck with delivery! You look too cute in your pink shirt. :) I was only able to see Michelle for a few minutes, but it was fun to see her! Congrats and good luck! :) I just started reading Stephen Tremp's Breakthrough, which so far is awesomesauce and very exciting. Aw you look so cute and preggers! hee hee. Thanks for the book suggestions, they do look fab. My pile of books seems to grow every time I come out here to blog. How will I ever get through them all? I've read a few duds recently, so I won't pass them on, lol. Hope the rest of your pregnancy goes by fast. The last month is just...exhausting. The baby is happy being read to. I've heard a lot about CODE NAME VERITY and your mention makes me more excited to read it. I hope everything goes well in the next month and you can get some relief from the heat once your baby is born! I remember being pregnant in the summer..it was not fun! I'm looking forward to reading 'Drop Dead Healthy', by A.J. Jacobs...it's about his quest to find the perfect diet/exercise plan, so he tried them all and along the way learned a lot of interesting facts about human beings. Good luck in the months to come..my unasked for advice is sleep now, whenever you can and for as long as you can! Soon you'll start to forget what sleep is, and it'll be nice to at least have the memories.